In this posting I aim to explain the importance of celestial inhabitation to first generation Quakers and indicate why this understanding was suppressed by later Friends. I want to argue that this caused a significant change in early Quaker theology that had a number of negative implications and suggest that Friends might wish to revisit the vision of celestial inhabitation and consider whether it has something to contribute to our contemporary faith and practice. “And the Word became flesh and lived among us” (John 1:14). For early Friends, a crucial implication of the incarnation was that, in the person of Christ Jesus, heaven and earth were united. The ‘epistle’ to the Hebrews had great resonance for them, partly because of its vision of the new covenant (see below) but also because of the way in which the incarnation was seen to break the boundaries dividing spirit and matter, heaven and earth. In this sense, Christ acts as a bridge between the divine spiritual realm and the created physical realm and in doing so he sacralizes the material creation by his divine indwelling. So although the language of early Quakerism sounds very dualistic, in fact the experiences of Friends enabled them to transcend dualistic thinking in this way. Early Quaker understandings were based on a fundamental distinction between the old and the new covenants that can been found in the writings of the apostle Paul and in Hebrews. In the old covenant the relationship between humanity and God was regulated and mediated through outward forms (e.g. outward law, temple, priests and sacrifices) whereas in the new covenant these are all fulfilled inwardly and spiritually by Christ (Jeremiah 31:31-34). In the new covenant, by his own sacrifice, Christ ended the old form of law and fulfilled it by writing it on people’s hearts. A life lived in unity with God was now possible because Christ could dwell within the hearts of his people. At Pentecost the spirit was poured out on all flesh (Acts 2:1-21) ensuring that entry into the new covenant in which heaven and earth overlapped was available to all people. Early Quakerism was Pentecostal in the sense that it was characterised by a transformational experience of the Spirit of Christ dwelling within people as an inward teacher, priest, prophet and king. God is spirit (John 4:24) and humans are flesh. However, as we have seen in the incarnation and the new covenant, Spirit and flesh become one (heaven and earth meet). In the new covenant, God’s dwelling place is the human tabernacle, people are gathered into a temple of living stones (1 Peter 2:4-5) and Christ dwells within them in their measure (Ephesians 4:7). The physical Quaking of early Friends can therefore be understood as an external manifestation of the breaking open of the creature and of the Spirit pouring in (as heaven and earth connects). It is quite normal for Christians to refer to the church as the body of Christ. However, for early Friends this was understood in an almost literal sense. More than in merely a metaphorical sense, Christ was seen to be the head of the church, controlling both the individual and corporate body. The true church became Christ’s body continuing his work within the world. i) To mistrust the human body and suppress active physical expression. ii) To neglect the goodness of the physical creation in favour of a disembodied spiritual realm. iii) To adopt an inward-looking and introverted spirituality. Although this transition did not undermine the basic Quaker commitment to the spiritual equality of women, it may well have resulted in greater restrictions on a woman’s ability to express herself and take the role of prophet. The radical freedom of the 1650s was strongly predicated on the assertion that it was Christ living through the human vessel. In such circumstances gender distinctions were deemed irrelevant. a. Overcoming dualism – Is our faith and practice based on an artificial separation between the spiritual/heavenly and the physical/earthly? Does our focus on the inward and the spiritual lead to a neglect of the physical, the bodily and the natural? What might a spirituality founded on the unity of spirit and matter and heaven and earth look like? b. Valuing the material creation – Is our corporate concern for the beauty and variety of the creation (e.g. Advices and Queries no. 42) consistent with a faith and practice which sometimes focuses on the inward and spiritual at the expense of the outward and the physical? 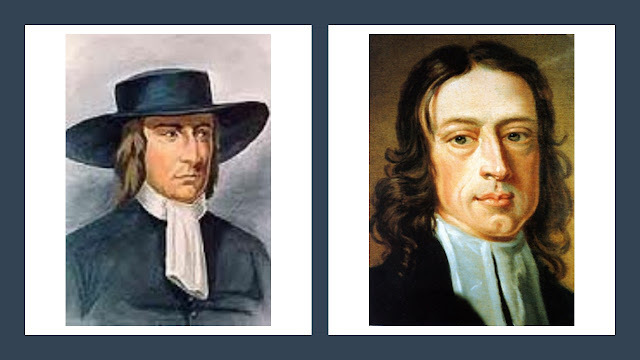 How can we bring these two aspects of Quakerism into greater harmony? c. Valuing the body and physical expression – Is our faith and practice weakened by a neglect of the body and an avoidance of physical expression? Can we find a way of holding together inward contemplative practice and outwardly embodied physical expression? Can these two dimensions of human life be united within our spirituality? d. The possibility of real transformation – has our vision of the power of the Spirit become too limited and domesticated? In focusing on a more ‘realistic’ role for the Spirit as a source of guidance, have we neglected its more radical transformative potential? Does the vision of new birth through the power of the Spirit have any meaning to us today? e. Heaven on earth – do we merely pay lip service to the idea that it is possible to create heaven on earth or do we really believe it? How might the early Quaker experience of living in the place where heaven and earth meet, inspire our witness today? Can we again be a people who embody this vision? f. Learning from other faith traditions – can we find inspiration in other faith traditions? How do we relate to other spirit-led churches such as those based on Wesleyan holiness (e.g. Methodism and Pentecostalism)? Can we find inspiration in Eastern Orthodox pneumatology in which the Holy Spirit fills all things and humans and the whole creation are on a path towards deification (theosis)? Can we learn from ancient and contemporary forms of animism? Thanks for this very thought-provoking post Stuart. I wasn't familiar with the term 'celestial inhabitation', although the experience of 'Christ who lives in me' has always seemed to me central to a Quaker understanding of Christianity, so it is helpful to see the theology teased out here.The process you describe of downgrading the role of the Spirit to one of rational guidance, rather than radical transformation, is important. It was perhaps given greater momentum by the Enlightenment, and fed into modern secular rationalism too? I'm really enjoying this alphabetical series and looking forward to 'D' for... Diggers? Deism? Thanks Craig! Yes, rationalism and Deism played their part but the desire for respectability and religious toleration was probably decisive in the 17th century. I am still discerning what 'D' should be. The Diggers are on the list! Thanks for this Stuart! I do think that dualism is very present in our local meetings. Silent meeting for worship is often given precedence over all other community activities. I would like to see Quakers eating together every week as a matter of course. Plus there's certainly a lot we can learn from the Orthodox church. That icon of the world full of burning bushes! Thank Mark! I agree about the Orthodox church. I am about to do some serious engagement with Orthodox theology and spirituality in preparation for a course at Woodbrooke in October. It is maybe not too surprising that some Friends seeking a deeper engagement with a mystical Christian spirituality have moved to the orthodox church. Thank you Stuart, I think this is avery important entry in your blog and hope that it finds a wide readership. You are putting your finger on a deep and fundamental issue within Christian spiritual understanding. The early Friends really grasped something in this understanding of 'celestial habitation' and it is tragic that it was lost so very early on due to the pressures of conformity. This wholistic understanding of the relationship between the spiritual and physical, so central to the Jesus perspective, almost entirely lost due to the influence of Gnosticism and Neo-Platonism, were once again beginning to be recovered by early friends only to be snatched away once more. It is a huge challenge for us not to let it happen again but to establish it a a central understanding of Christian spiritual reality. I felt that each of your Contemporary Significance and Implications really hit the mark; each needing careful engagement and debate to open them up. Your find comment about there being much to learn from ancient and contemporary animism was nothing short of music to my soul! Thank you Noel! In forging a new nondualistic, Jesus-centred, shalom focused Christian spirituality we do have an mmensely rich and fruitful heritage to draw upon despite the persistent presence of the dualistic error! Very stimulating, but I have a question about dualism in Fox himself. I was told that in the phrase walking cheerfully over the world the word 'over' actually referred to the action of treading down (the context was how to translate this into German - durch meaning through [the world] and uber suggesting pressing down). So that Fox was talking of suppressing creatureliness, fallenness, that which must be eliminated I suppose for the 'celestial habitation' to take place. Now Paul of Tarsus talks of body (soma), flesh (sarx) and pneuma (spirit) - the body is a given - how else can incarnation take place? - but sarx leads to spiritual death. Thus there is not so much a dualism as a trialogue. Is this reflected in the development of Quaker thinking? An obsession with sarx (creatureliness?) is transcended by the inspiration of pneuma (the work of the Spirit) and might lead to a greater respect for soma (the glory of creation)? Hi Harvey, my sense is that 'the world' as Fox and early Friends used this term, is not the physical creation but rather fallen and deluded human ideas, ideologies, systems and structures (produced by a turn away from God and towards 'the serpent'). When the divine Spirit indwells the physical creature, the creature's relationship to God and to the creation is transformed (and deluded and fallen human 'notions are driven out). I very much like you final sentence and I think it is consistent with my reading of early Friends. However, I would want to define 'sarx' as alienated and deluded creatureliness rather than creatureliness per se. Stuart. I have just read your comment on my response re sarx etc. (I have been away in Spain hence the tardiness of this reply). Thanks so much for the Nayler quote from the Lamb's War, very helpful and uplifting. Is there anything you could recommend which would elaborate for me the use of the word creatureliness in early Quaker discourse? It is one of those words, like perfection, which can be very ambiguous and at times quite unhelpful in contemporary discussions of Quaker spirituality. I agree that the terms flesh and creatureliness are often misunderstood and interpretation ambiguous. The Michele Tartar reference above might help a bit. The issue is very much rooted in the Augustinian and Luther/Reformation reading of the distinction between spirit and flesh in the Pauline epistles. You might like to have a look at what Tim Peat Ashworth has to say about this in his book 'Paul's Necessary Sin'. Harvey - you might also have a look at Walter Wink's references to 'sarx' in his book 'Engaging the Powers'. Yes, very helpful forrest, thank you! I think 'celestial inhabitation' is a difficult term and can easily be misunderstood. I am not saying you have, but if taken literally, as Patricia Crawford warned ("Women and Religion in England", p. 178), it can lead to all sorts of problems which I think manifest themselves to some extent in Richard Bailey's work. Can I take this opportunity therefore to refer you and others to pp. 266-7 of my "The Early Quakers and the Kingdom of God" where I address this particular and very interesting early Quaker experience, indeed even to my footnote 46 on p. 267. I think it is much better, frankly, to address their Christ/Logos mysticism, as I call it, rather than any possible 'celestial inhabitation'. I share your caution about the concept of celestial inhabitation. Although it is very interesting, I do think that Richard Bailey's work uses an overly literalistic interpretation. God is Spirit and humans are creatures. The Spirit can indwell the created and transform it but that does not make the created divine. I think the Eastern Orthodox distinction between Divine essence and Divine energies is helpful. We can partake in divine energies but not in the Divine essence. Of course in 17th century England, to subscribe (as I believe early Friend did) to the Pauline proclamation that 'it is no longer I who lives but it is Christ who lives in me' was regarded as blasphemous.